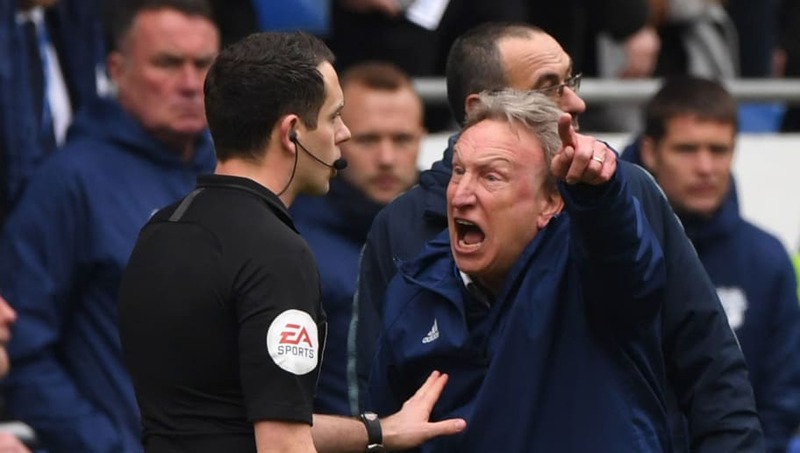 ​Cardiff City manager Neil Warnock has been charged with 'improper conduct' and bringing the game 'into disrepute' for comments given in several post-match interviews following his side's 2-1 loss to Chelsea at the end of last month. On that day, the Bluebirds were 1-0 up when they were pegged back by an offside goal from Chelsea captain Cesar Azpilicueta in the 84th minute, before ​Ruben Loftus-Cheek grabbed all three points for Maurizio Sarri's side in the 91st minute. The FA announced the charges via their official spokesperson in a ​statement which read: "Neil Warnock has been charged with three breaches of FA Rule E3. "It is alleged that comments he made in a post-match interview with the BBC, and a post-match interview with Sky Sports, following the ​Premier League game against Chelsea on 31 March 2019, were improper in that they questioned the integrity of the Match Official and/or implied bias. It is further alleged that comments he made in a TalkSport Radio interview on 01 April 2019 constitute improper conduct and/or bring the game into disrepute. "The ​Cardiff City manager has until 18:00 on 16 April 2019 to provide a response." Speaking to ​BBC Sport, he explained: "I just feel as long as [Cardiff owner] Vincent [Tan] wants me to stay, no matter what division we're in, I think I owe it to the fans to stay."